Product information "Anti-Jagged-1 (human), clone J1G74-7)"
Recognizes human Jagged-1. 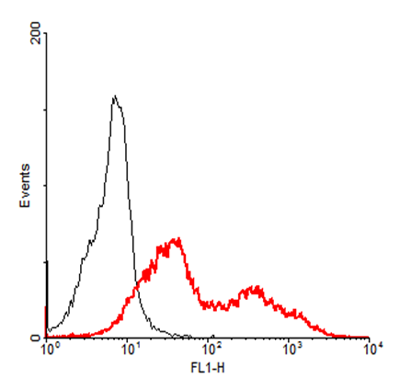 Detects a band of about 180kDa by Western blot. Liquid. 0.2µm-filtered solution in PBS, pH 7.4. Contains no preservatives. Jagged-1 is a ligand for multiple Notch receptors and involved in the mediation of Notch signaling. It is involved in cell-fate decisions during hematopoiesis. Is involved in early and late stages of mammalian cardiovascular development. Inhibits myoblast differentiation. Enhances fibroblast growth factor-induced angiogenesis (in vitro). Defects in Jagged-1 are the cause of Alagille syndrome type 1 (ALGS1) and tetralogy of Fallot (TOF). Customer review for "Anti-Jagged-1 (human), clone J1G74-7)"